Are you ready for an incredible offshore adventure that you won’t forget in a hurry? 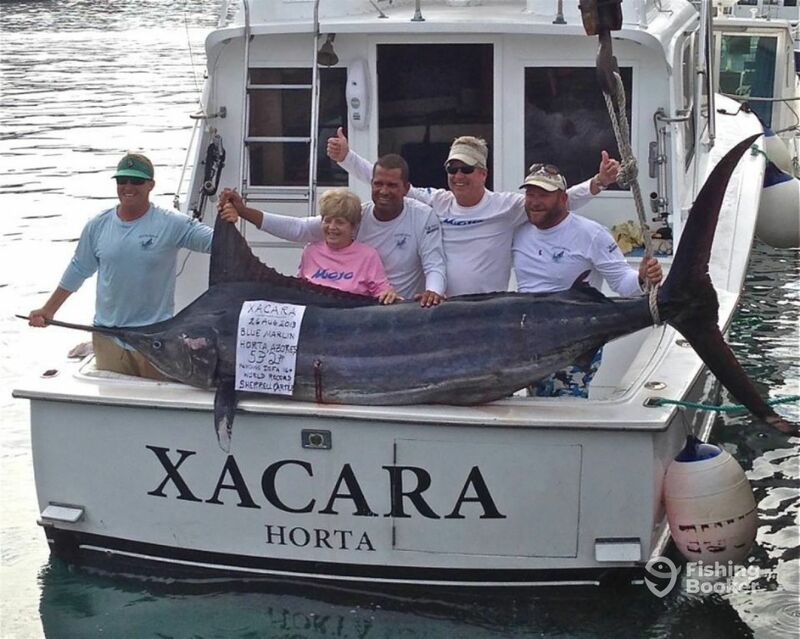 Want to attempt to catch a grander? Then this trip is for you! 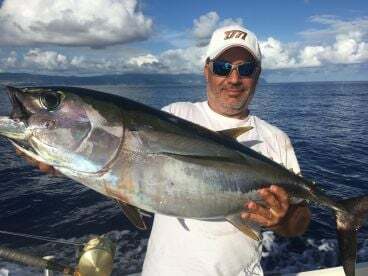 Join Brasilia Fishing Charters to target deep sea game. This area is renown for being the land for granders, giving you the best chance to hook your dream fish. 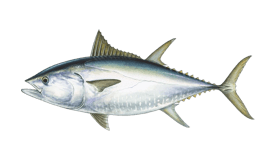 You’ll be fishing with Captain Olaf Grimkowski and his crew. Capt. 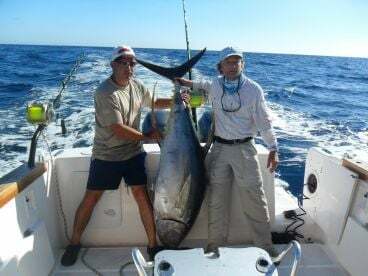 Olaf is a native from Germany who has decades of experience fishing in the Azores, Ghana, the Canaries, Ascension, Cape Verde, and Croatia. He knows the best places to go after the biggest fish. 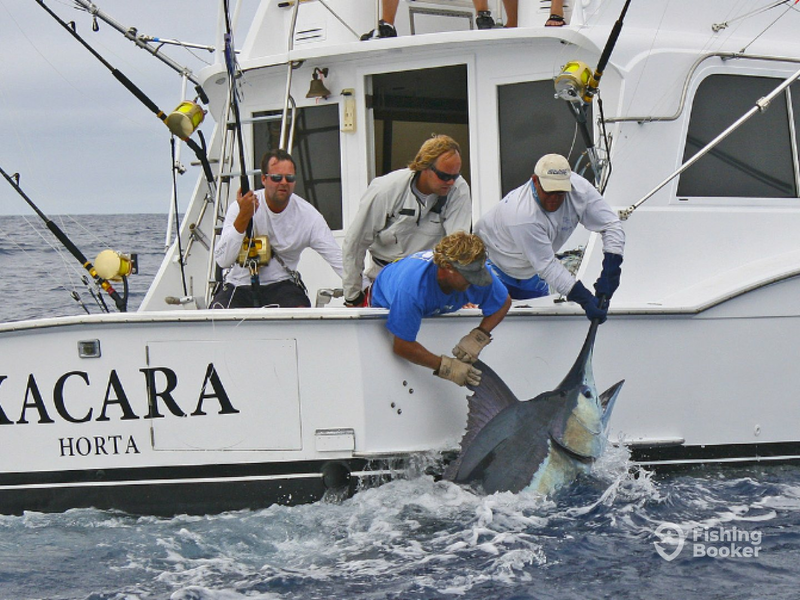 Step on board his 36’ Hatteras with 3 of your fishing friends. This great boat has twin 300 HP Cummins engines with twin discs. She has the power to get you to the fishing grounds fast and in comfort. This boat also boasts a restroom, multimedia system, and a fighting chair. 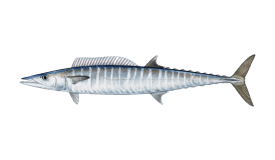 This will become your new best friend once you’ve hooked a huge Marlin and the fight to reel it in begins. A fighting chair gives you the extra edge and help to reel it in. 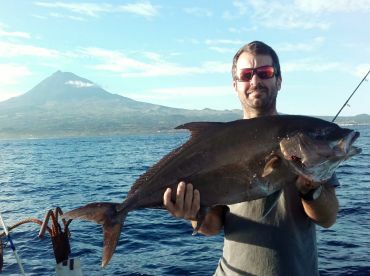 Excellent fishing grounds can be found within 15 minutes of leaving the harbor as the waters surrounding the islands drop off rapidly, to depths in excess of 1,000 M. The most productive fishing areas whilst fishing from Horta are the Condor Bank, The Azores Bank and the North Coast of Faial. The run out to these banks may take between 1 to 1.5 hours, but the payoff is totally worth it. 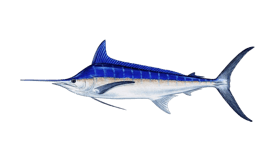 Targeting Blue Marlin is the name of the game on this trip, but you’ll also be able to target Yellowfin Tuna, Bluefin Tuna, Sailfish, and Wahoo. 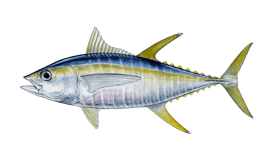 Deep sea fishing has never been so good! This trip is completely all-inclusive. 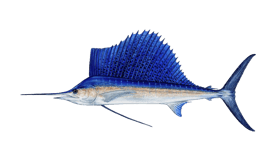 Everything you could need is included in the price: top quality rods and reels, all bait and lures, food and drink, and even your fishing license. There is no better time to book! 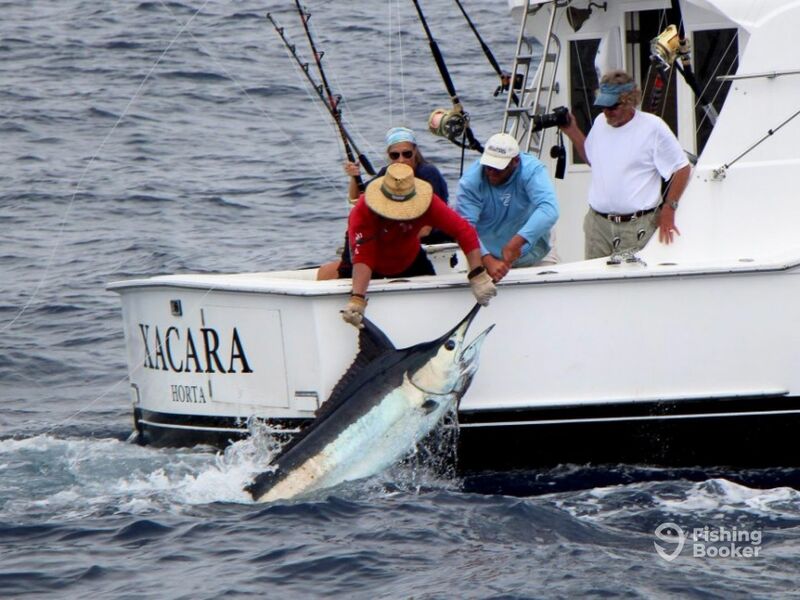 Come see why these waters are so popular for catching big Marlin, and see if you can become part of the 500+ club too! 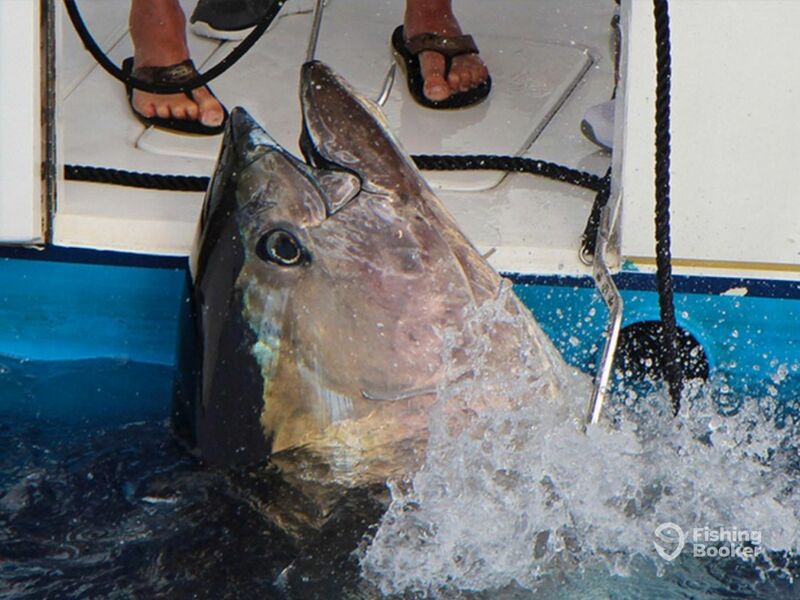 Spend this 9-hour trip chasing Blue Marlin and Bluefin Tuna. 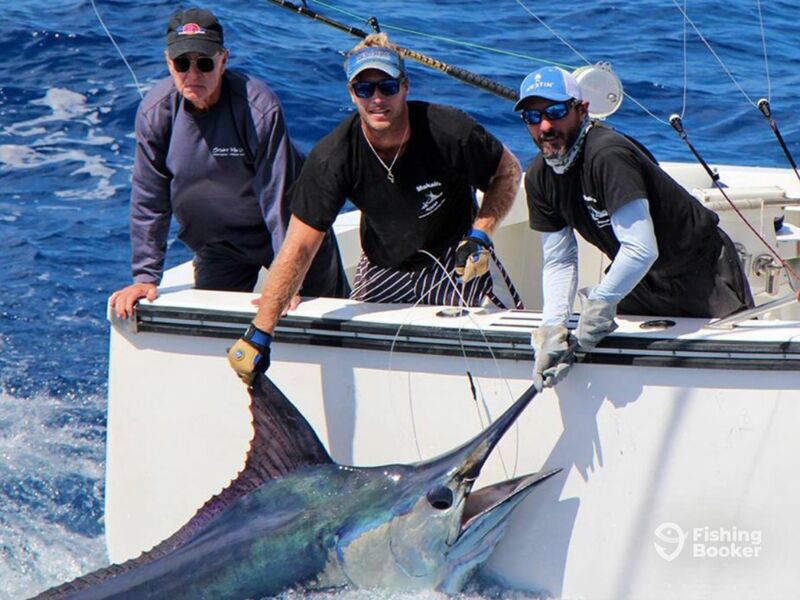 This trip is all-inclusive – everything you'll need will be provided, from rods and reels, lures, snacks and drinks, and even your fishing license too. 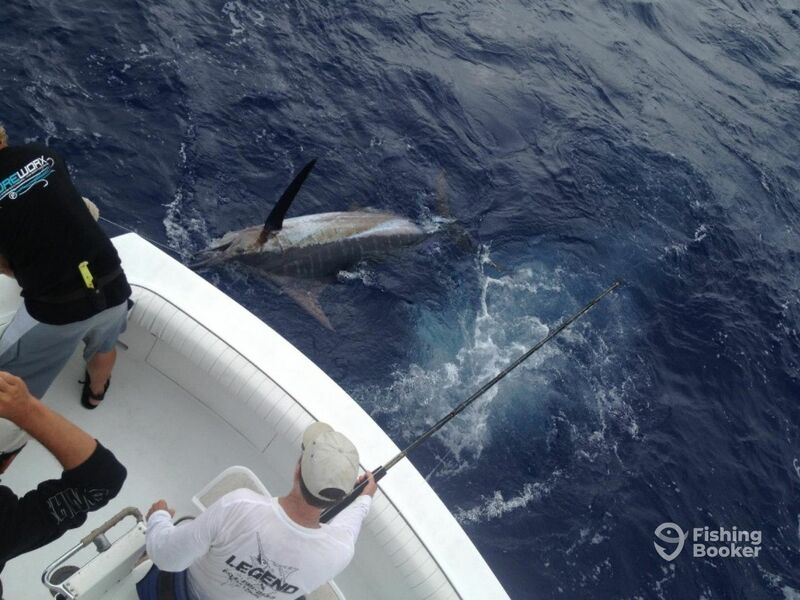 To get the most out of your trip, book May to June for Bluefin Tuna and July to October for Blue Marlin. 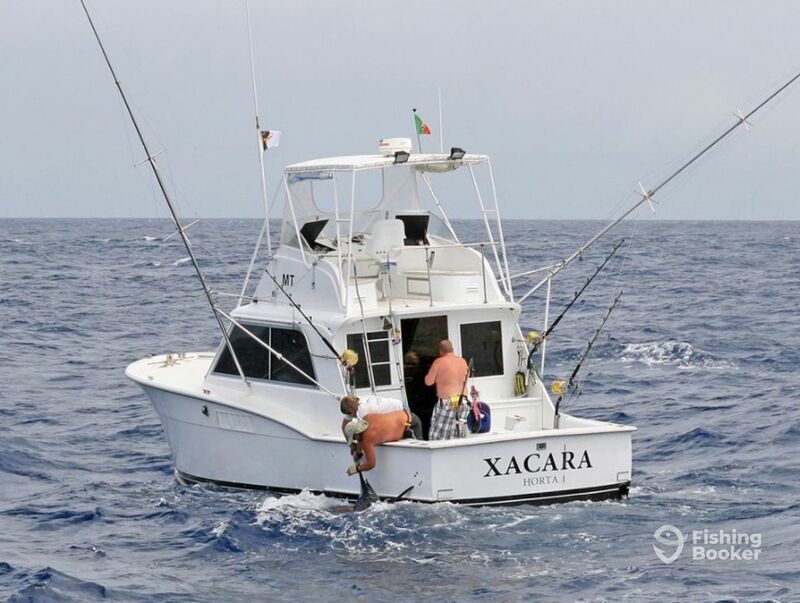 Hatteras (Offshore sport fishing) построена в 1978. Мотор – 2 300 л.с. Cummins. 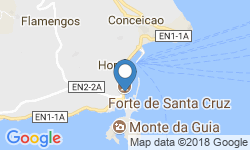 Brasilia Fishing Charters specialize in giant Blue Marlin fishing charters and operate with 4 boats from Horta Marina on the Island of Faial, Azores. 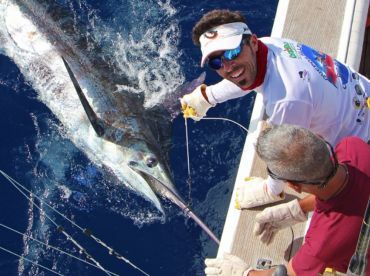 Owner and operators of Brasilia Fishing Charters, Captain Louis and Patricia Sougne from Belgium, are both very keen anglers enjoying some of the world’s finest Blue Marlin fishing. They look forward to welcoming you on board.